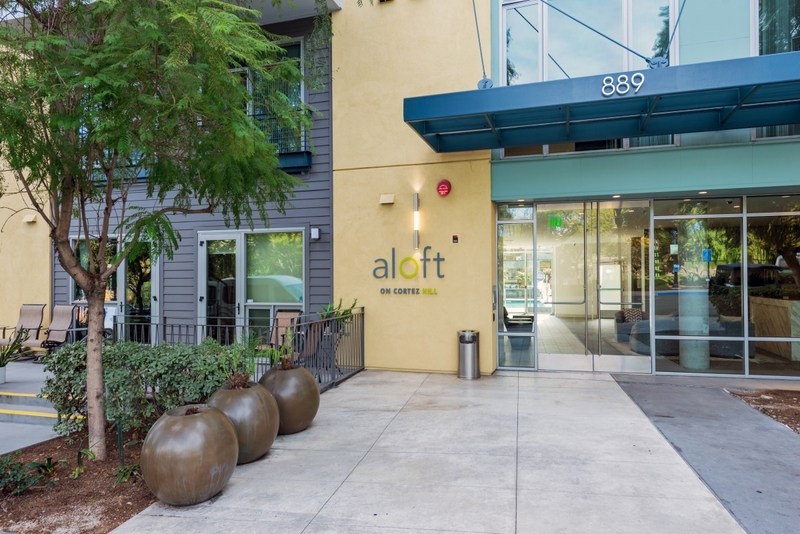 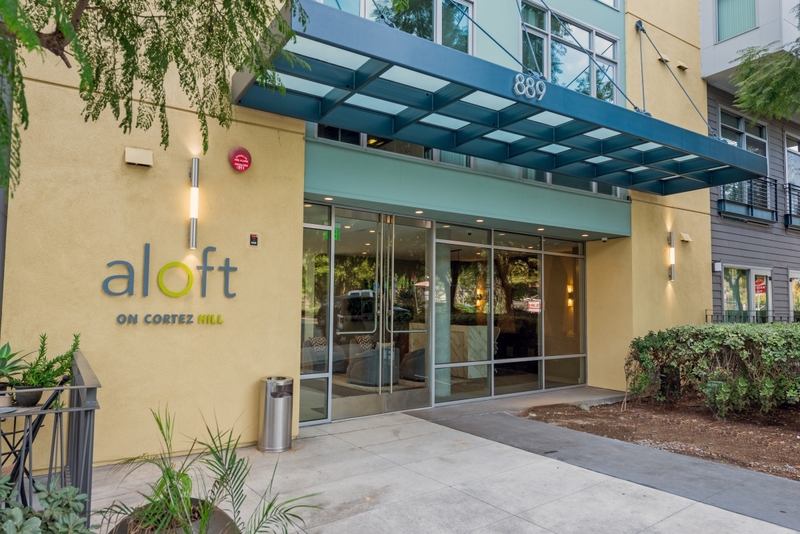 Aloft condos are perched high atop Cortez Hill on Date Street between 9th and 10th Avenues. 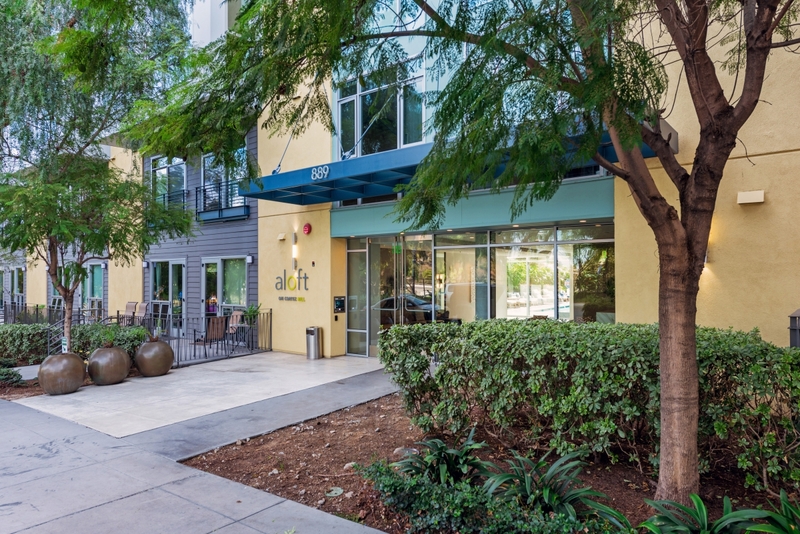 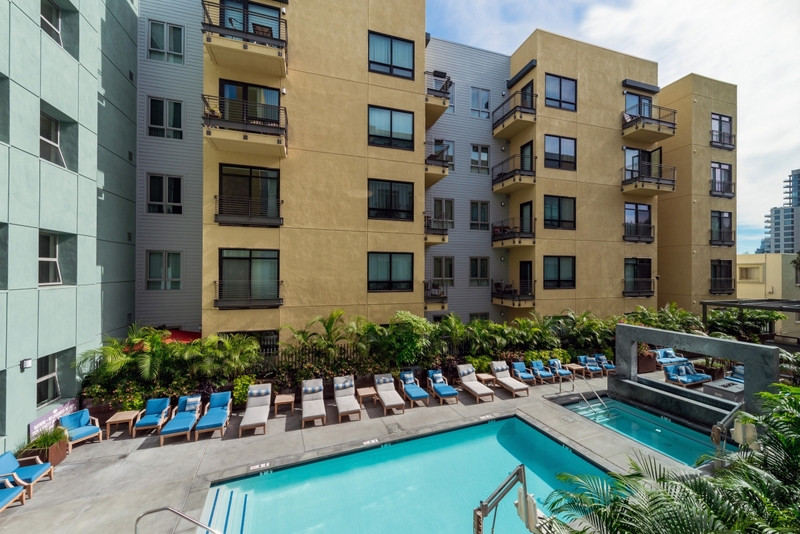 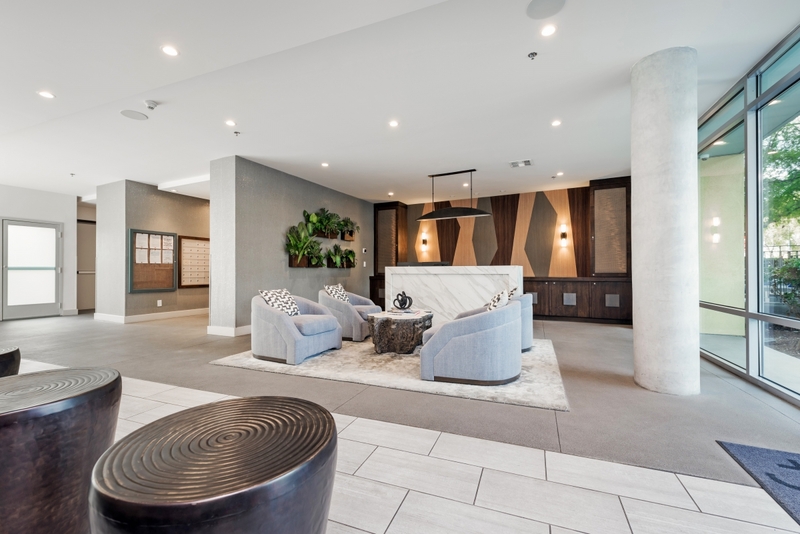 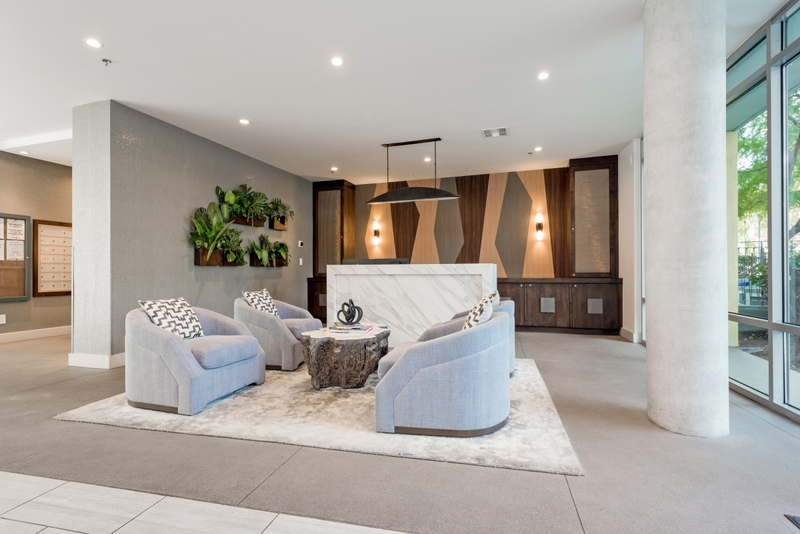 The development is comprised of 168 loft units and is located just minutes from Little Italy and the Gaslamp Quarter, but rests in a tranquil setting in Downtown San Diego’s oldest neighborhood. 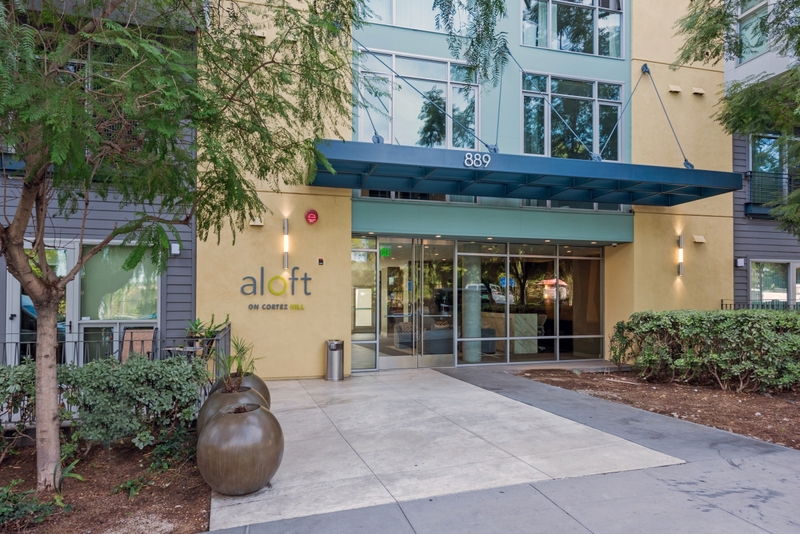 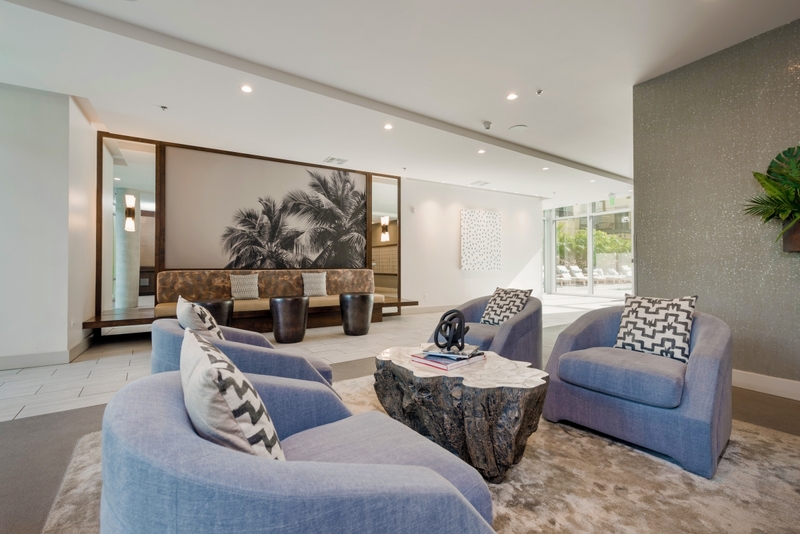 Whether sun bathing by the pool and spa, working out at the gym or lounging by the outdoor fire pit in your own private cabana, Aloft has something for everyone.